On Wednesdays, I usually post a wordless Wednesday post that features plants that are blooming or are just interested at that time. 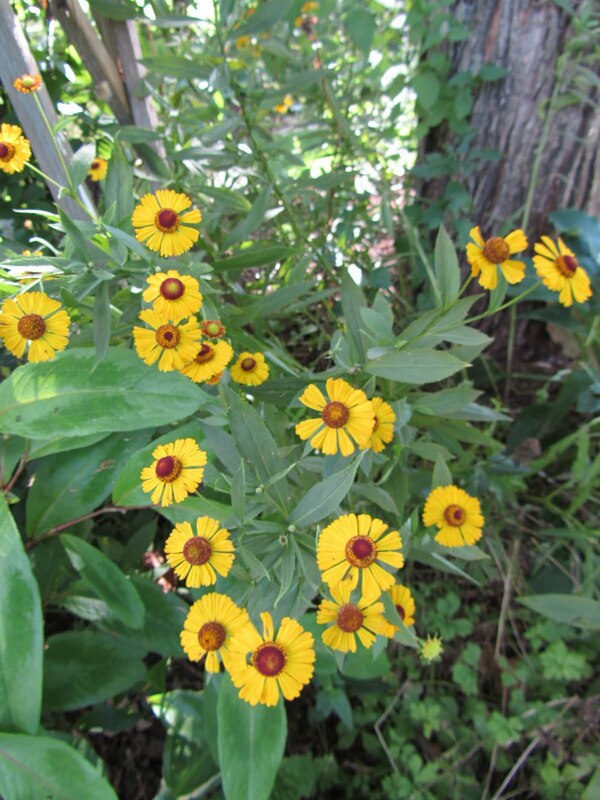 I realized last week that as I was looking around in my yard at what was still blooming in late September, that my helenium were still blooming. I guess it wasn't until I started posting pictures every week that I realized just how long the blooms on the helenium last. 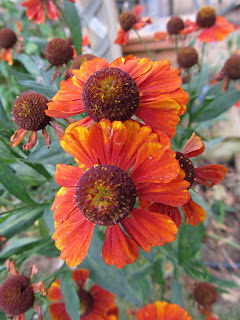 I started taking pictures of my helenium in July, and they are still blooming over 2 months later. Not only are they long lasting, they also are magnets for bees and butterflies. I have mine growing in both sun and part sun, and they do fine in both locations. Helenium can get quite tall by fall, sometimes reaching over 4 feet tall. So last year I did an experiment and cut them in half in early summer. My plants stayed shorter, and still bloomed just like asters would if you cut them in early summer. Some different varieties I have in my garden are 'Chelsey', 'Mardi Gras', 'Red Gold', 'Sahin's Early Flowerer', and 'Moerheim Beauty'. Love the color of the second and the fourth shot, what a great color, they look like mini coneflowers.